Wende Miller is the Senior Leasing Director for Talon Private Capital (TPC). During her time at TPC, Wende has overseen leasing transactions for all of Talon’s properties, including partner properties. She has completed over 2.25 million square feet of new, pre-leased, and renewal leases in a portfolio consisting of over 5.5 million square feet. Wende has spent the majority of her 22 year real estate career as a broker specializing is significant transactions for major law firms, corporations, financial institutions and professional and technical firms in the Puget Sound Region. A significant portion of Wende’s brokerage tenure was at Cushman & Wakefield and Colliers International where her team completed transactions totaling over 4 million square feet over her 12 years with the two firms. Her unique understanding and knowledge of the Puget Sound Market allows her to ensure advantageous economic terms while exceeding her client’s goals for the foreseeable future. Wende attended Coastal Carolina University in South Carolina where she was a member of the cross country and track teams. 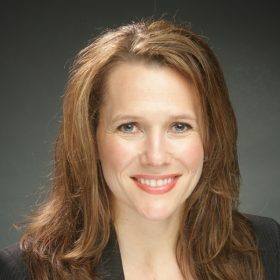 Wende is a member and has been actively involved in several industry related organizations such as Commercial Real Estate Women (CREW), CoreNet, National Association for Industrial and Office Properties (NAIOP) and Downtown Seattle Association (DSA) and was recently recognized as a Power Woman in Commercial Real Estate by Bisnow. She is also committed to giving back to her community having served as a board member for the Hope Heart Institute, Camp Fire USA and a member of the Jubilee Women’s Center Steering Committee where they were successful in raising $5 million in a capital campaign. Additionally, Wende has enjoyed coaching track & field, basketball and soccer for her children’s teams at St. Joseph School in Seattle.